Okay, so I don’t normally take these tests, but this one caught my eye! Who doesn’t love pizza? I am not sure if I really want to be known as a cheese pizza. Kinda boring…. Take the test and see, what kind of pizza personality you have? You’re not easily impressed with novelty. Paige: Mom, when I get big as you, I am going to drive a pink mommy missile! This morning was a bit cooler so we made our way up to Blogett Open Space to hike around. 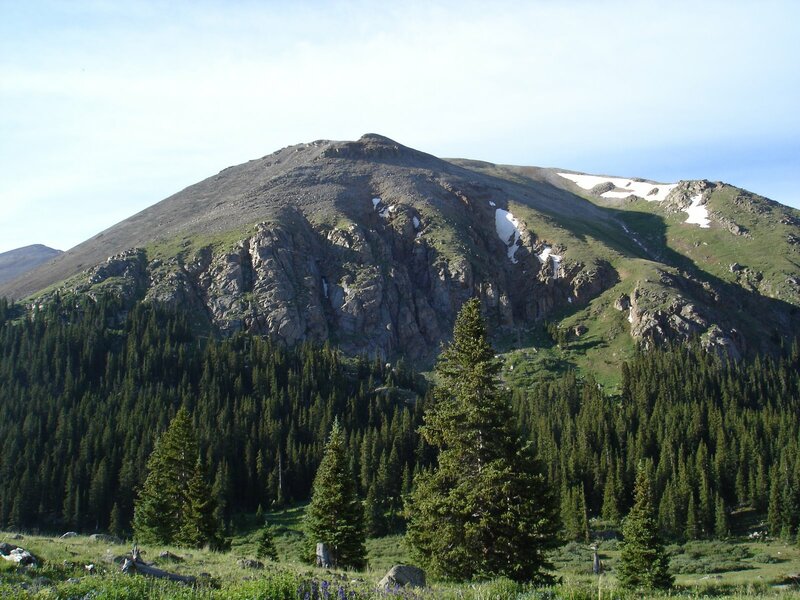 We knew that we wouldn’t make it to the peak, partly due the ominous black clouds peaking over the mountains and the three sets of little legs moving up the trail, so we just set out, unsure of how far or where we might end up. Usually the kids are pretty excited for hiking but today they all woke up a bit moody so our hike started out rough. The whine. 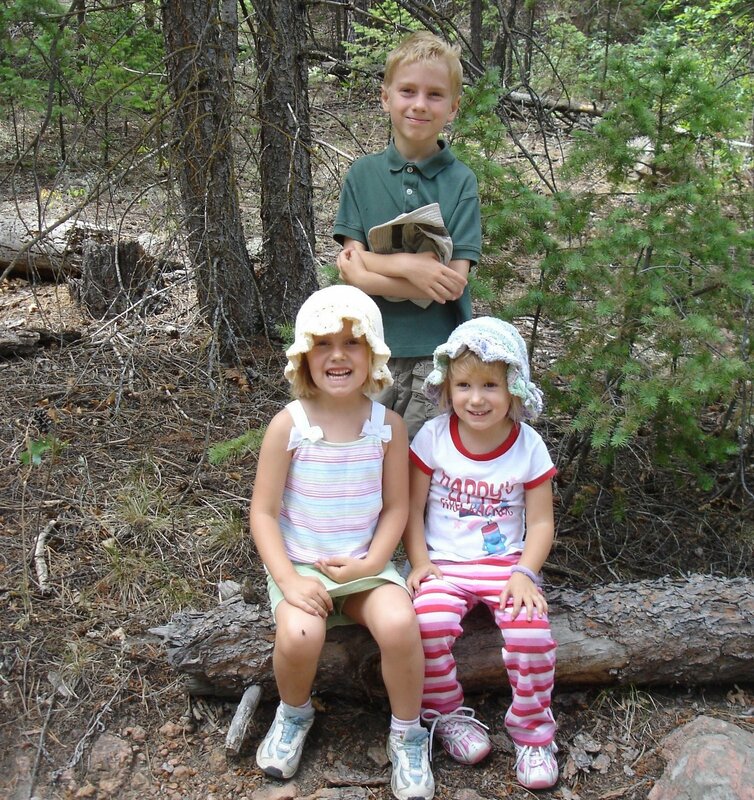 Once we made our way further into the hike and under the shade of the pines, their moods seemed to brighten. Whew! I had a funny realization as I was snapping away pictures this morning. I was taking a picture of the view out over Colorado Springs and Alice said “Mommy, why are you taking a picture, I don’t see anything beautiful?”. realized that for her, Colorado is just the place she lives. Not until she is older, will she understand the beauty of our natural surroundings. When Scott and I moved here we made a promise to each other that we would not take these views for granted. I do not believe that we ever have. The nature all around us gives us peace. As I am writing, Scott and Paige are sleeping very soundly, the sign of a good hike. 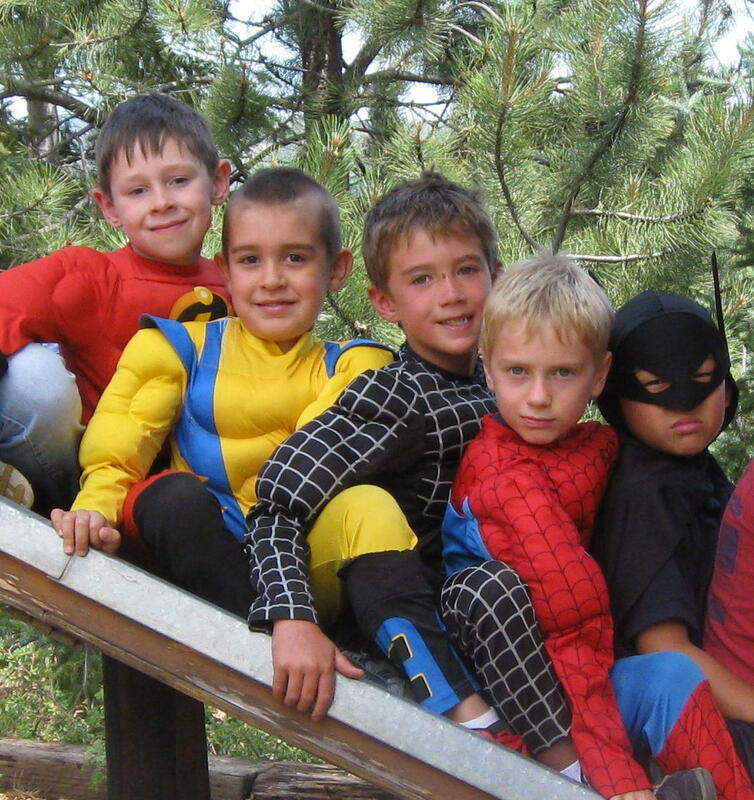 Sam’s campmates all dressed up as super heroes! We all drove to Woodland Park to pick Sam up from camp last night. He was beaming when he saw us and looked great! The first thing he said was “Camp was fun!!!”. That is the entire reason that we wanted him to go away to camp; to realize that he can go away, have fun and then come back. Here is a short video of his camp skit. 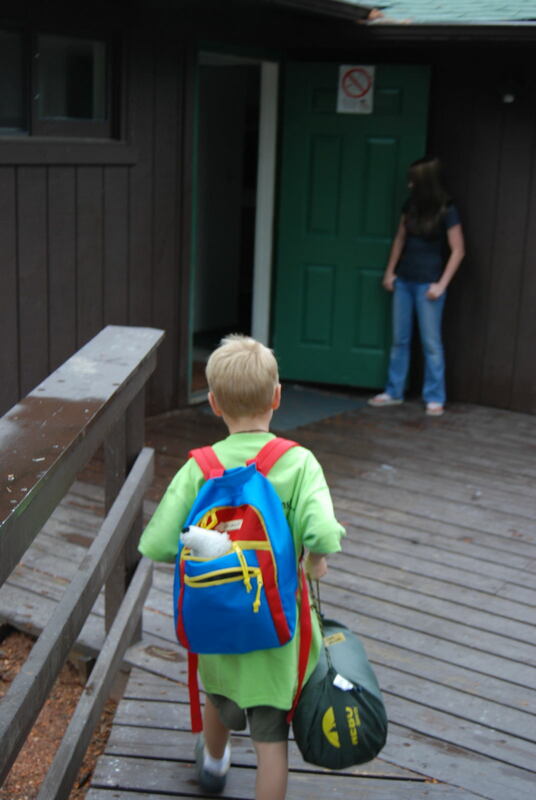 Sam left for camp yesterday afternoon. If you hadn’t heard, he is going to Templed Hills bible camp for 3 days, 2 nights. 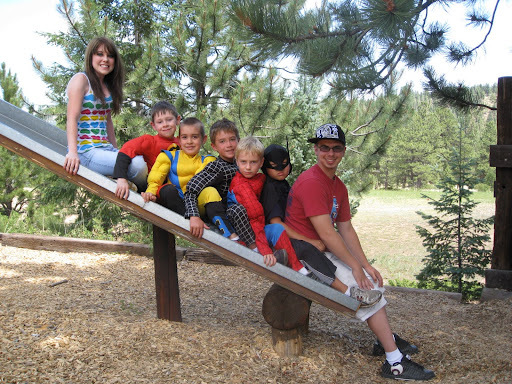 The theme of camp this summer is SuperHeroes Unlimited. We felt that a couple days away from us (mainly mom) would be really good for him. We decided that Scott should probably take him since I started crying when I was packing his bags. He was a little nervous but overall excited for the adventure. He didn’t even shed a tear when Scott left the camp. I am so proud of him for being a big boy! I know that this experience will be great and he is going to have so much fun! He loves adventure!! We are so happy that he is having this experience with his friend Griffin. I can’t wait to hear about all the fun he had! 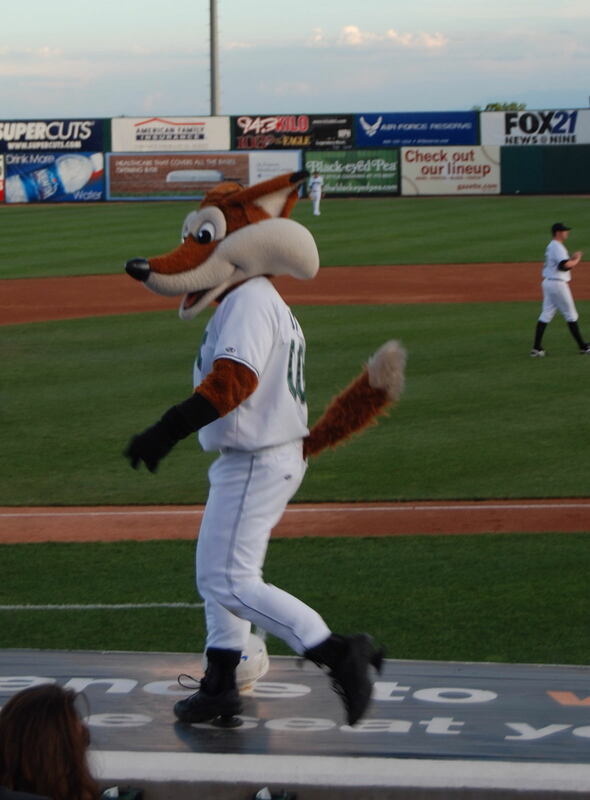 Sox the Fox getting the crowd revved up! For Sam’s end of the season party, we joined most of his teammates and their families for a Sky Sox baseball game last night. The Sky Sox are our local minor league team here in the Springs. The weather was beautiful and we had a blast. The kids loaded up on hot dogs, lemonade, popcorn, pretzels and cotton candy. Last night may have been only the second time that they have had cotton candy and you can tell by the pictures that they couldn’t get enough. Thanks to all the junk food and late hour, we decided to bug out during the 7th inning stretch. We were just impressed that they had made it to the 7th inning without any major melt downs. 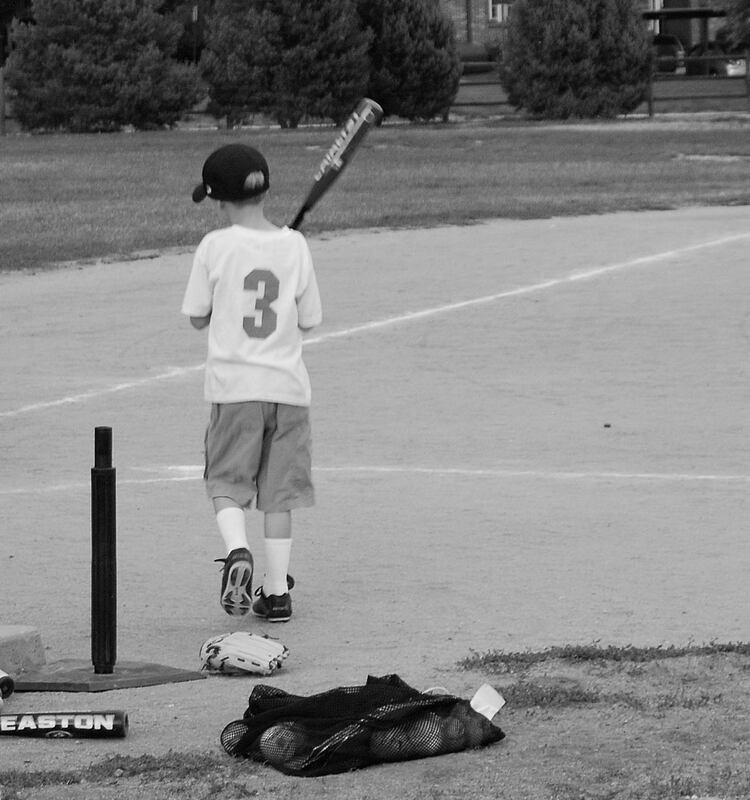 It was a great end to a fun t-ball season. Now on to soccer!!!!!! 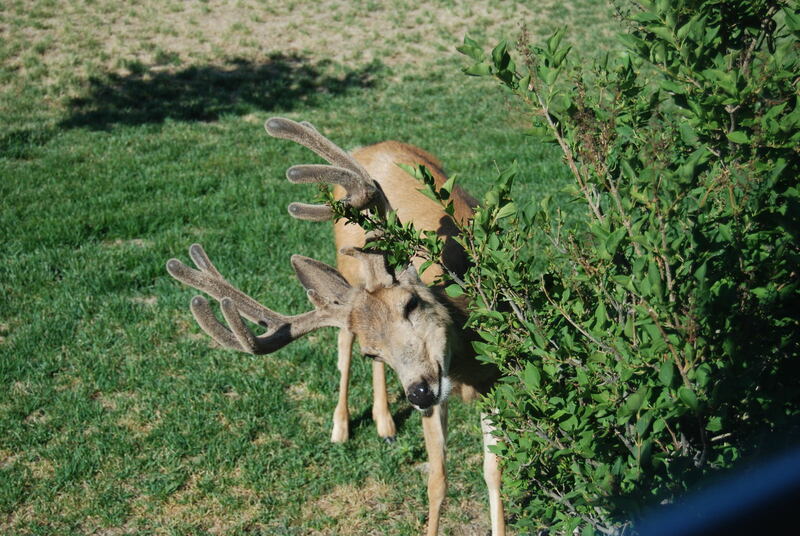 I think this deer is laughing at me! I opened my bathroom window to take their picture and then shoo them away from my already sparse lilac bushes. Must be very tasty! She did not want to be disturbed! Scott ran his first 50 mile race Sunday. We are so proud of him! The race was in Leadville about 2 1/2 hours from our house. He finished well in 12 hours. I will let him update later on the specifics. Here are some pictures I hijacked from his camera. Gorgeous views!!!! Sam’s last t-ball game was on Thursday night. He had his best game of the season with a couple catches and a great hit (without the tee). He was also excited because he was able to be last batter. That means that he bats last in the lineup and that after he hits, he gets to run all the bases to home. T-ball was a fun change from soccer and much warmer for the spectators :). Next week we are going to a Sky Sox game for their team party! Paige and her baby taking a walk during the game. hey, mom! I am too cool to get my picture taken!